Susheel Kaur from Sweden shares about how she turned her passion into becoming the most precious things in her life. Bhangra is a traditional folk dance originating from Punjab, the land of five rivers. It’s a vibrant, colourful and infectious dance that would have you grooving, non-stop. It’s a group dance usually performed by the men folk but not limited to them. It’s a heart pounding, adrenaline pumping and leg stomping movement which would have you sweating by the end of it, almost like a good cardio exercise. And that is exactly what one bhangra enthusiast has done with this traditional dance. 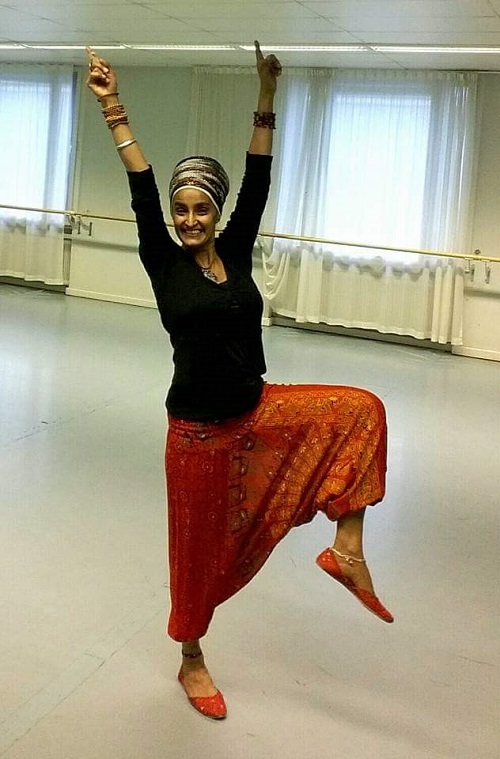 Susheel Kaur, from Kuala Lumpur now residing in Sweden, shares with Asia Samachar her journey turning this dance art into a fitness workout that has many Swedish, both Punjabi and the non-Punjabi excited. Asia Samachar: When and why you started bhangra fitness classes? Susheel Kaur: Bhangra has been part of my life since I was a kid. Not only do I enjoy dancing bhangra, but I am just as passionate about teaching it. I started teaching bhangra when I started my own company 4 years ago. What started of as a hobby has gone on to become one of the most precious things in my life. Here in Sweden, I have been teaching bhangra to almost all age groups ranging from little kids to adults for more than 4 years. Generally I think when most people hear of “Bhangra dancing” they immediately associate “club, parties and drinking”. I wanted to show that is not always the case and provide an avenue where people can get together for a good, fun and stress busting workout. AS: How has bhangra benefited you, health wise? SK: Bhangra workout has improved overall cardiovascular functions, renewed physical stamina, increased lung power, enhanced muscle tone and flexibility, and weight loss. It´s also like a stress and tension buster. AS: What are your qualifications as a bhangra fitness instructor? SK: I have been dancing since I was a kid. Most of the steps are self-learned and also meeting other like-minded bhangra instructors from all around the world, exchanging ideas and techniques has helped tremendously in ensuring I dish out a good workout session. AS: How has the respond been like from non-Punjabi in Sweden to your bhangra class? SK: Most of my students are non-Punjabi and they totally love bhangra. It has enjoyed a surge in popularity because it is easy to do and fun at the same time. It has also provided a new dimension to the fitness industry because of its positive results. AS: You are traveling to Malaysia soon, why are you bringing this bhangra aerobics to Malaysia? SK: Being a Malaysian myself, I just wanted to reach out to everyone and share that bhangra is a fun and pleasurable social affair that can be achieved anywhere. The workout takes place with an infectious and upbeat music that has everyone is in a happy mood throughout the session and afterwards. It is like having the best of both worlds – getting healthy while doing something that is fun and happy. AS: Is it easy to teach non-Punjabi the bhangra aerobics? SK: It is easy to pick up bhangra aerobics if you have the rhythm in you whether you are a Punjabi or non-punjabi but it´s not compulsory because over time you’ll get a hang of it and would be enjoying yourself. AS: It is a fun blast and stress buster fitness class or does the bhangra steps target specific body parts? SK: It is a fun and stress buster fitness for sure but it also targets most of the muscles on the body parts. Parts that you didn’t even know you had. AS: Is it a 100% cardiovascular class or mix? If mixed what other areas does it target (resistance/weight/stability/toning) ? SK: The bhangra aerobic dance involves continuous, rhythmic body movements designed to raise heart rate, strengthen the lungs and work out all the major muscle groups in the body like the legs and buttocks. This workout is done to music with pulsating beat to set the tempo. When one does the bhangra workout, the body muscles demand more oxygen-rich blood and give off more carbon dioxide and other wastes. This makes the heart beat faster to keep up. Overtime, with regular workout, the heart grows stronger and can meet the muscles’ demands with little effort. The bhangra workout also helps one avoid chronic diseases such as heart disease, hypertension, and stroke. It also lowers blood pressure, builds strong bones and helps control weight. A 45-minute bhangra aerobic dance burns 500 calories. How’s that for motivation? AS: What is the proper attire to attend this class? SK:The most important thing to remember is lightweight clothing for easy movement and sweat wicking capabilities. It is beneficial to wear proper aerobic shoes as to avoid injuries. AS: What is your future plan with bhangra fitness classes? SK: My mantra is; When you follow your passion with determination, perseverance, conviction and focus, success follows without having to run behind it. And most importantly since you love what you do, happiness, mental satisfaction and peace of mind are yours forever.’ My journey has been the most amazing and satisfying. Of course, nothing comes easy and you always have to choose one thing over another, and I chose fitness over everything else and hope to pursue till I can no more. AS: Who can join your bhangra classes? Please state if any clearance from doctor is required for those suffering from knee injuries or heart problems? 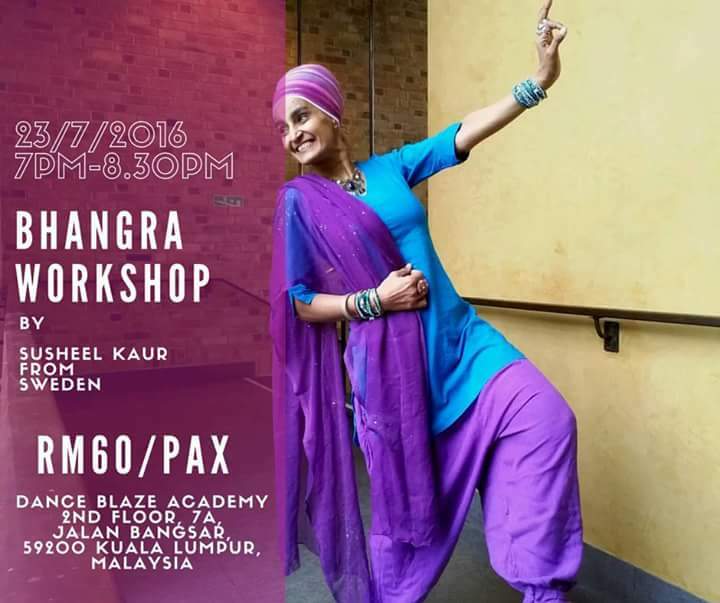 SK: Bhangra is suitable for participants of all ages and fitness levels. A word of caution: Get a medical check-up before embarking on the bhangra workout or any fitness regimen, for that matter. AS: Please share with us why you chose bhangra over a normal workout? SK: You are having fun while you work out; hence, you are inclined to keep at it and bhangra workout is a dance form exercise and you will definitely enjoy every moment of it. Also, there is a dessi connection that helps me to navigate myself in this foreign land so I don’t feel too homesick. It keeps my metabolic rate high, which in turn gives optimum weight loss results. And, it tones and conditions the entire body. Places are limited. Book your slot now. Kindly contact Liitha at 016-2203237 or drop an email to writeimagemarketing.net@gmail.com for registration. Previous articleErosion of Customs – Where and Why are We Erring? While you are all probably way too familiar with the embarrassing, sweaty uncle who does Bhangra all night at your cousin s wedding, what you might not realize is that he s actually getting a fantastic workout. What better way to get in shape than combining awesome party music with an easy, high-cardio dance? Genius!